Come back to the meeting hub and add yourself to the Linky list in sidebar. Click here for our new “Previous BlogHop4Writers Questions” page. How to play! 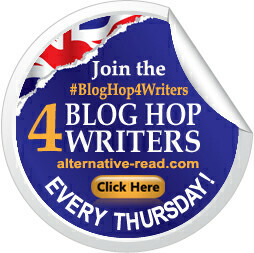 Click here for full details of how to play along and get the most fun out of the BlogHop4Writers! ====Meet our Affiliate Authors! === ===HERE==== Want to book a guest spot and be featured during our Thursday Yahoo group chat? Please click the ‘Contact’ tab and get in touch! Group has 600+ members. Promos only at weekends.